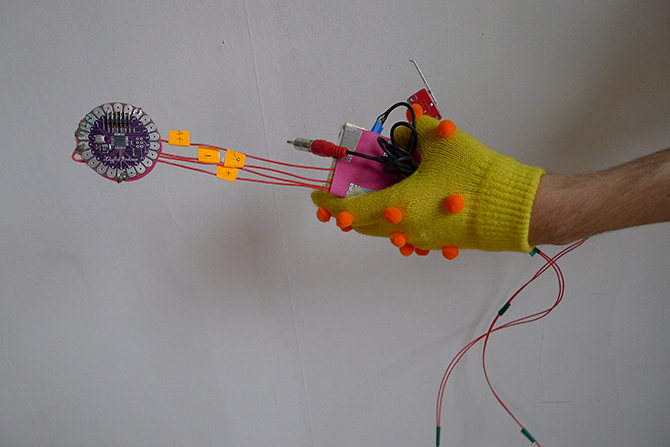 Sensing for Visualisation will present an introduction to the use of analog sensors for producing interactive experiences in the fine arts context. Using inexpensive microcontrollers (Wiring/Arduino), electronic components and open software, participants will prototype circuits to read meaningful data from the environment. A demonstration of examples of different analog sensors used in interactive installations, performance and visualisation, and an explanation of the specific characteristics of analog sensors and how to read data from the real world into a digital program. Participants will learn step-by-step how to install the software and libraries necessary to interface microcontrollers (Arduino or Wiring) with their computers. Participants may split into groups to create a simple visualisation prototype in processing, using first one, then two and finally three variables. The analogue sensors covered in this workshop will be: photocell, potentiometer, PIR (motion sensor) and accelerometer. The purpose of the workshop is to envision application of these technologies into art projects. No prior programming experience is necessary, and the aim is to give participants a glimpse into the world of physical computing and interactive visualisation. 5 microcontrollers and sensors will be provided. Collaboration between participants will be encouraged. Free for ISEA2013 Registered Delegates.